PHILADELPHIA--(BUSINESS WIRE)--Singer-songwriter Rick Schuler ushers in the sounds of the ‘70s with his “Rocky Mountain High Experience,® A Tribute to John Denver” at the SugarHouse Casino Event Center on Saturday, August 26 at 8 p.m. Schuler’s uncanny resemblance, vocals and stage persona have made him the leading performer of John Denver’s music. Tickets for his performance go on sale Friday, June 9 and cost $25. Schuler’s show offers audiences the most authentic John Denver concert experience by incorporating the country legend’s greatest hits with two of Denver’s musicians included in the band: longtime drummer, Richie Garcia and vocalist, Mollie Weaver. Schuler has shared his Rocky Mountain High Experience® with thousands of Denver fans and features renditions of hit songs including “Thank God I’m a Country Boy,” “Take Me Home, Country Roads,” “Sunshine on My Shoulders” and more. Given Denver’s impact on the music industry, the Rocky Mountain High Experience® is an exceptional tribute show, depicting a legendary music career that spanned four decades. Fans will reminisce on the Americana-folksy sound and, in addition to Schuler’s original Denver-inspired material, will enjoy renditions of “Annie’s Song,” “Back Home Again” and “Grandma’s Feather Bed,” which was written by Jim Connor, Denver’s longtime banjo player. Schuler came into prominence at the age of 16 with his first public performance of “Rocky Mountain High,” which was received with a standing ovation. 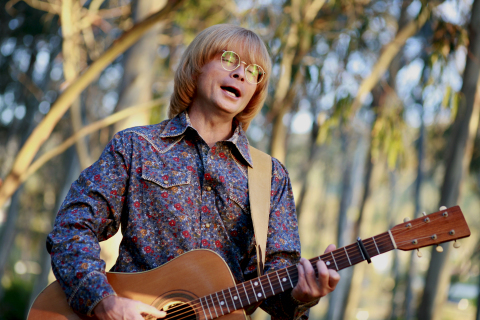 His musical talent and public appeal subsequently led to television and radio appearances including a feature on The Jack Carney Show, as “the John Denver guy.” With his “Rocky Mountain High Experience,®” Schuler has created a show that features fan favorites with some of Schuler’s own Denver-esque compositions. Tickets for the Rocky Mountain High Experience,® and for all SugarHouse performances, including Creedence Clearwater Revisited (June 30), Golden Boys (July 21) and Kellie Pickler (August 5) can be purchased online at the SugarHouse Casino Event Center page. SugarHouse, which opened in September 2010 as Philly’s casino, features 1,891 slots, 103 table games, a 28-table poker room, fun and unique dining options, riverfront views and free on-site parking. The casino employs approximately 1,600 people, and for six consecutive years has been voted a “Best Place to Work” by the Philadelphia Business Journal and a “Top Workplace” by Philly.com. For more information, visit www.sugarhousecasino.com.